In addition to the large amount of conventional retail stores, boutiques and shops in Bremen, there are many second-hand stores. You can find used but undamaged clothing, furniture, books and other lovely things at bargain prices, with a range that spans from no-name brands to extravagant designer labels. We’ve put together a list of some these shops in Bremen. 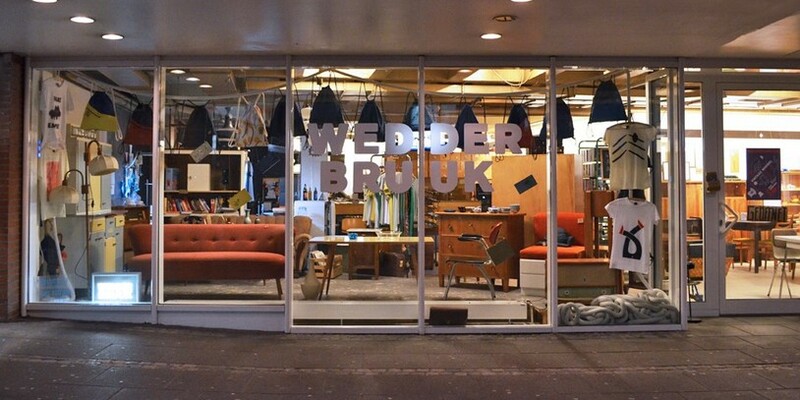 At Wedderbruuk in the Lloydhof in Bremen’s city center, you’ll find "second hand stuff, vintage furniture and handmade things". The repertoire ranges from vintage furniture like desks, wardrobes, tables, typewriters and old telephones to vases, porcelain and dishes – you’ll find a wide selection of second hand pieces here. At Modemarkt Bremen in the Viertel, you can buy second hand clothing and fashion from last season. You’ll find luxury brands like Prada, Gucci and Gaultier here. If you like designer labels and posh vintage, this is the place for you. Additionally, shoes, bags and other accessories are for sale. The shop is located at Feldstraße 10. 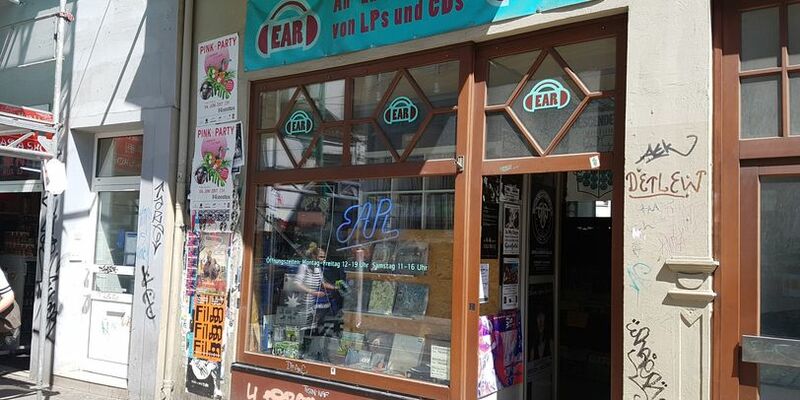 The team from Ear Records buys and sells LPs and CDs, music and books in the Viertel. You’ll find Ear Records at Steintor 104. In the beloved Viertel, you’ll find vibrant clothes, vintage sunglasses, coats, hats and unusual shoes – all second hand. The shop is at Ostertorsteinweg 100. Fashionable clothing for women, as well as costume jewelry, shoes and handbags can be found in the Neustadt at Second Hand Frauensachen on Buntentorsteinweg 85. At Secondhandladen Proshop you’ll find used textiles and household articles, toys and books. The shop is in Hemelingen in the Hemelinger Bahnhofstraße 1. Lady First Class has second hand women’s fashion. The store is in the city center on Wachtstraße 20. En Vogue offers impeccable clothes in the mid-price range. Popular designer labels await new owners here. The shop is on Pappelstraße 27. Antique flea-market articles can be found in an old sailmaker in Vegesack. In Laden 38, you’ll find oil paintings, interiors, jewelry, watches and coins as well as hi-fi and technical equipment. The store is in the alten Hafenstraße 38. Literature from the 18th to the 21st century, illustrated books, photography, architecture and art await you in the antiquarian bookshop at Plantage 13 in Findorff. The Oxfam Shop is a second-hand project dedicated to social causes. High-quality, second hand goods, which have been donated are sold in the store. The proceeds go to the development works of Oxfam Germany. The Oxfam Shop Bremen is at Knochenhauerstraße 18/19 and is run by volunteers. Secondhand Fashion & Accessories in the Viertel is right next to the Theater on Ostertorsteinweg 54. 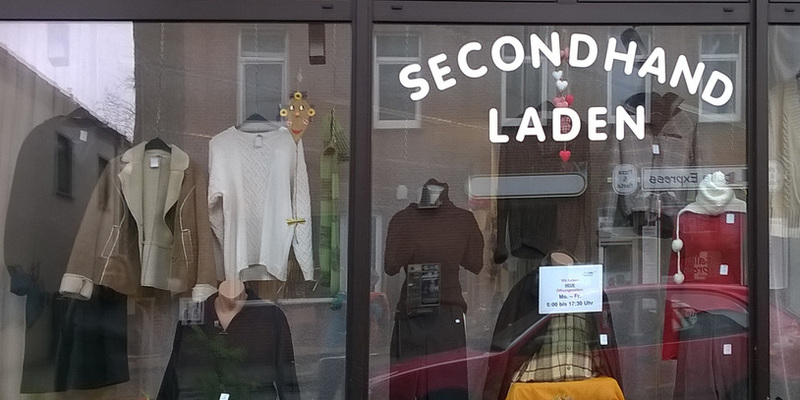 Second Hand Laden  spezialisiert auf Möbel & Interieur des 20. Jahrhunderts. Außerdem findet ihr bei WEDDERBRUUK Accessoires und technische Geräte. Beim Modemarkt Bremen im Viertel findet ihr Secondhand Kleidungsstücke und Mode aus der letzten Saison. An- und Verkauf von LPs und CDs, Musik und Bücher im Viertel. Im Anziehungspunkt im Viertel findet ihr bunte Kleidung, Sonnenbrillen aus vergangenen Jahren, Mäntel, Hüte und ausgefallene Schuhe - alles aus zweiter Hand. Eine große Auswahl gut erhaltener Artikel für Frauen findet ihr bei Second Hand Frauensachen. Beim Proshop erhaltet ihr gebrauchte Textilien und Haushaltsartikel, Spielwaren und Bücher. Second Hand Mode für Frauen. Antiker Trödel in der alten Segelmacherei in Vegesack. Im Laden 38 findet ihr Ölgemälde, Interieur, Schmuck, Uhren und Münzen, sowie Technik und Hi-Fi. Literatur aus dem 18. bis 21. Jahrhundert, illustrierte Bücher, Fotografie, Architektur und Kunst. Im Shop werden gespendete hochwertige Secondhand-Waren verkauft. Elizabeth verkauft Secondhand Mode und Acccessoires.